No matter how scent-free you think your home is, someone just walking in will no doubt be able to pick up smells you’ve become oblivious to, whether from food, pets or attempts to “freshen” the air with odor-masking room sprays and other commercial scents. While normally not a big deal on an everyday basis, the way your home smells to others is crucial when you’re putting it up for sale. You may have heard that popping a tray of cookies or cinnamon buns into the oven before an open house will make visitors swoon with homestead yearnings, but it’s the prep well before the day of the viewings that can make the biggest difference. Making your home smell good doesn’t necessarily involve a particular scent, it’s more about neutralizing the air, and that starts with deep-cleaning your home. Just remember to avoid ammonia, bleach and strongly scented cleansers on the day you’re having visitors to your home. Many people are scent sensitive, to both synthetic fresheners and household cleaners, so try to go odourless instead of scented. If you have dogs or cats you’ll have the extra responsibility of vacuuming up their hair, and cleaning and moving their litter boxes and/or accessories out of your main living areas. Don’t underestimate the ability of one dog bed or litter box to be the dominant smell in an entire room, especially if the prospective buyers are not “pet people.” You may not think your pets, their beds or toys smell, but you might be “nose blind” to your own household smells. Buyers will notice them and are often easily distracted by them. They’ll often overlook the great features of your home if they’re distracted by off-putting smells. 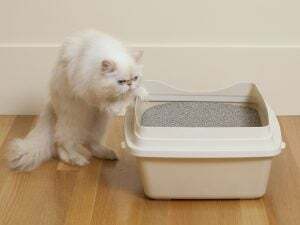 If “Eau de Fido” is just too much to handle and you are intent on making the best open house impression, you may even opt to send your furry friends away for a short time — it will be easier for you to show your home, and could even help calm your pet by removing him or her from the confusion of having strangers in their territory. For more great information, listings, and more, visit us at our website!